Ball Valve provides process control. 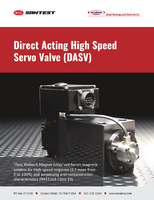 OBV is a 1000 psi W.O.G full-port, 3-piece process control valve made from 316 stainless steel. Manufactured of ASTM-A351-CF8m body, ball and cap, valve is available with or without locking handles in 1/4 through 1 in. NPT. Thrust washers and packaging are PTFE. The OBV is a 1000 psi W.O.G. full port 3-piece 316 Stainless Steel process control valve manufactured of ASTM-A351-CF8m body, ball and cap. Thrust washers and packing are PTFE. Available with or without locking handles in ¼ thru 1 inch NPT and carries an 18-month warranty. 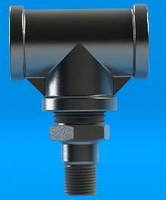 Self-Operated Valve provides temperature control. Automatic Control Valve provides temperature control. Steam Trap has ISO body. Valve keeps exposed pipes from freezing. 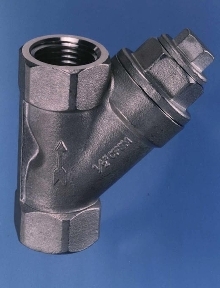 Y Strainer is made from 316 SS. Sanitary Clamp Ball Valve meets FDA and USDA 3A requirements. Compressed Air Valve features programmable timer. 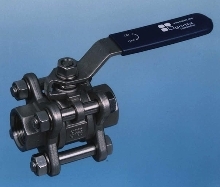 Three-Piece Ball Valve is constructed of stainless steel.